She's spoiled you rotten your entire life. Now it's time to return the favor and make Mom feel like the queen she is. These epic Mother's Day gifts are sure to score you a ton of brownie points, not to mention get you in her good graces (if you aren't already, of course). Because the best gifts truly are those that come from the heart, we know your mom will fall head over heels for this sweet necklace, which can be custom engraved with the names of all the people she loves. 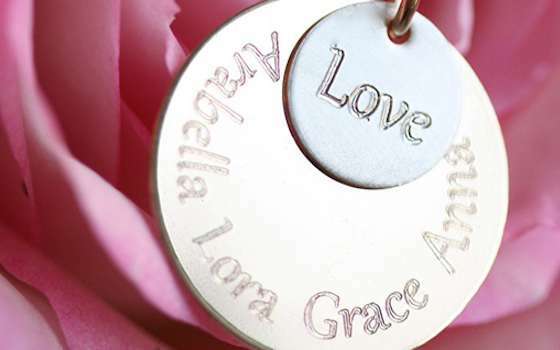 Add on extra charms, such as mom's initials, to further personalize her Mother's Day gift. Satisfy your mom's sweet tooth by creating an ice cream, gelato or sorbet just for her. Choose from among 40 flavors and three dozen mix-ins like praline pecans, butter brickle and candied ginger. 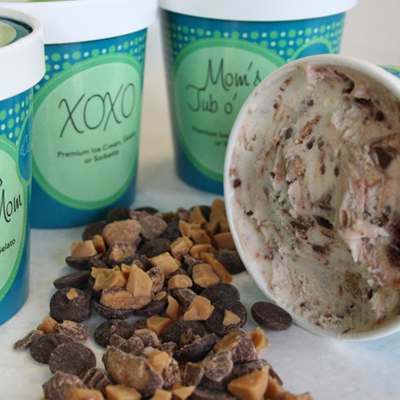 The online ice-cream parlor also has suggested Mother's Day collections of four pints, such as Mom's Tub of Hugs (sea salt caramel with chocolate-covered pretzels), World's Sweetest Mom (chocolate cake with fudge swirl and brownie bites), Mom's Love by the Spoonful (white chocolate pink peppermint chip) and Made with Love for Mom (coffee with Heath Bar pieces and caramel swirls). Encourage your mom to take it easy on Mother's Day by giving her silk pajamas. They're the ultimate in luxury loungewear. Bonus: These PJs from Fishers Finery come gift wrapped with a box of Godiva chocolates, so basically it's two Mather's Day gifts in one. When it comes to fine jewelry, your mom only deserves the best of the best. That doesn't mean you have to pay an arm and a leg to snag something top of the line for her, though. 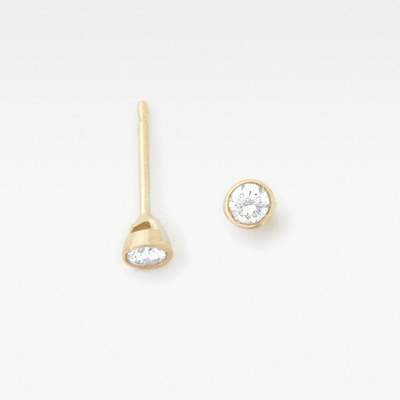 These solitaire diamond studs are simple, yet stunning, and totally timeless too. Yes, they're a splurge, but not as much as you might have thought. When in doubt, send mom to the spa! Nothing beats a day of pampering, which is why you really can't go wrong with Spafinder's Wellness 365 Gift Card. It grants mom access to more than 20,000 different wellness centers and spas worldwide. She can relax with a massage, get her hair done, or heck, even hire a personal trainer or a nutritionist. The options are endless, really. Woman to Woman: "5 Mother's Day Gifts That'll Instantly Make You Mom's Favorite"